7. Identity Criteria, Conventionalism and the Problem of Change. 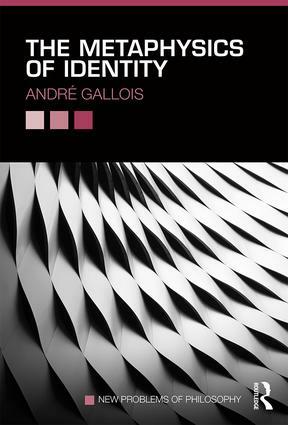 André Gallois is Professor of Philosophy at Syracuse University, USA. His previous publications on issues about identity and persistence include his book Occasions of Identity (OUP, 1998). The New Problems of Philosophy series provides accessible and engaging surveys of the most important problems in contemporary philosophy. Each book examines a topic or theme that has emerged on the philosophical landscape in recent years, or that is a longstanding problem refreshed in light of recent work in philosophy and related disciplines. Clearly explaining the nature of the problem at hand and assessing attempts to answer it, books in the series are excellent starting-points for undergraduate and graduate students wishing to study a single topic in depth. They will also be essential reading for professional philosophers. Additional features include chapter summaries, further reading, and a glossary of technical terms.